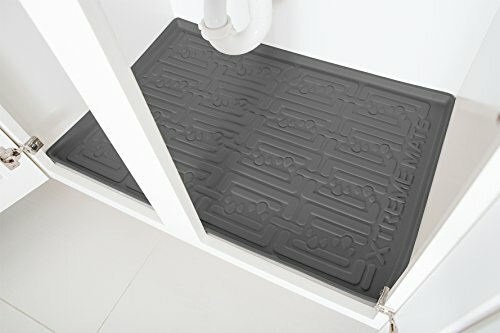 Xtreme Mats under sink cabinet mats are capable of holding 3 gallons of water in the event of a leak or product spill. Our liner will also protect from stains, scratches, chemical spills and much more. The mats are designed to fit many different cabinet manufacturers. We have designed channels in the mat that will direct any liquid to a water sensor (sold separately) that will siren when liquid comes into contact with the sensor. WARNING BEFORE ORDERING: MEASURE THE INSIDE OF YOUR CABINET AND MAKE SURE YOUR SUPPLY LINES AND DRAIN AREN'T COMING FROM THE FLOOR OF YOUR CABINET. 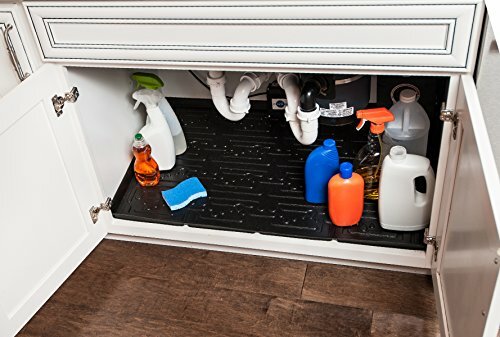 The 34x23 under sink tray by Vance Industries protects the base of your cabinet from plumbing damage and household cleaner spills. 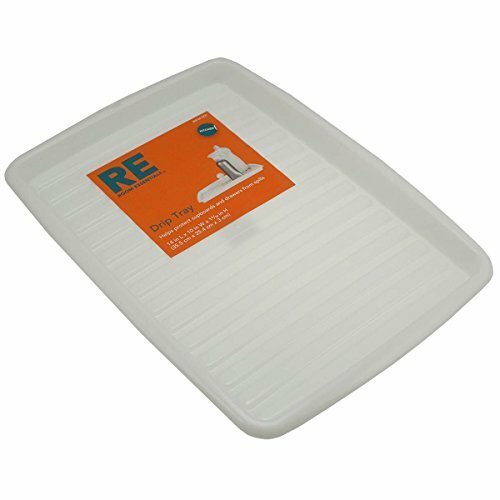 The undersink tray is made from durable Polystyrene and fits standard base cabinets or can be trimmed for non-standard. assembly level/Degree of difficulty: no assembly required. 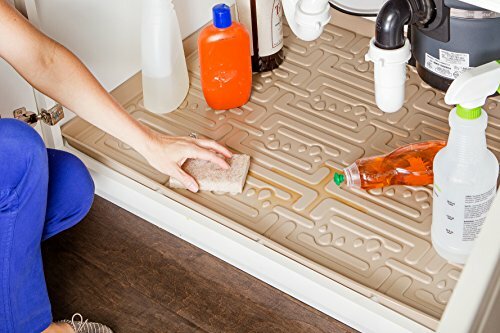 Xtreme Mats under sink cabinet mats are capable of holding 2.8 gallons of water in the event of a leak or product spill. Our liner will also protect from stains, scratches, chemical spills and much more. The mats are designed to fit many different cabinet manufacturers. We have designed channels in the mat that will direct any liquid to a water sensor (sold separately) that will siren when liquid comes into contact with the sensor. WARNING BEFORE ORDERING: MEASURE THE INSIDE OF YOUR CABINET AND MAKE SURE YOUR SUPPLY LINES AND DRAIN AREN'T COMING FROM THE FLOOR OF YOUR CABINET. 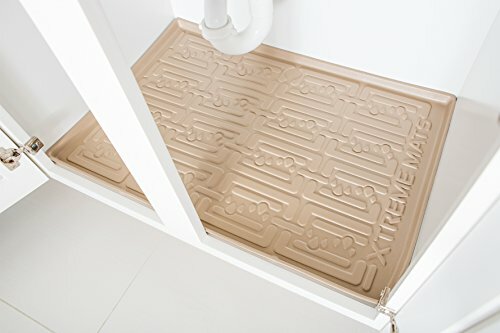 Xtreme Mats Under Sink Bathroom Cabinet mats are capable of holding 1.3 gallons of water in the event of a leak or product spill. Our liner will also protect from stains, scratches, chemical spills and much more. The mats are designed to fit many different cabinet manufacturers' base cabinets. 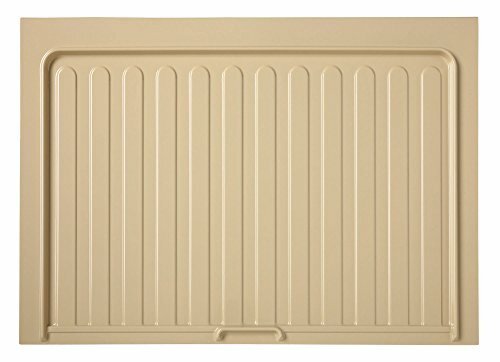 Xtreme Mats' unique design ensures a snug fit, reducing the potential for water damage to the cabinet and possibly floors. 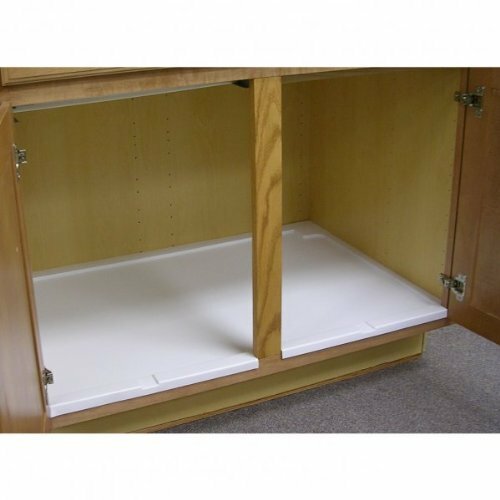 Our mats can be installed in any base cabinet with or without a center support. 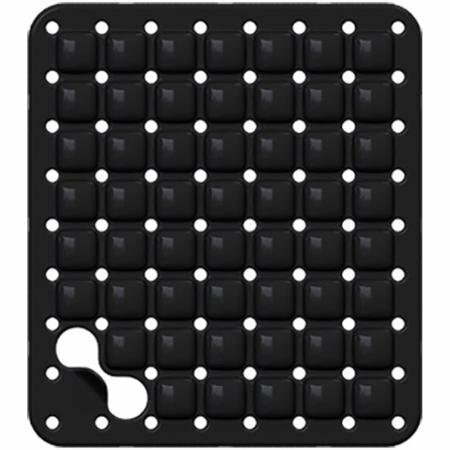 The mats are pliable and made from polypropylene through an injection molded process and produce no VOC's. We have designed channels in the mat that will direct any liquid to a water sensor (sold separately) that will siren when liquid comes into contact with the sensor. WARNING BEFORE ORDERING: MEASURE THE INSIDE OF YOUR CABINET AND MAKE SURE YOUR SUPPLY LINES AND DRAIN AREN'T COMING FROM THE FLOOR OF YOUR CABINET. 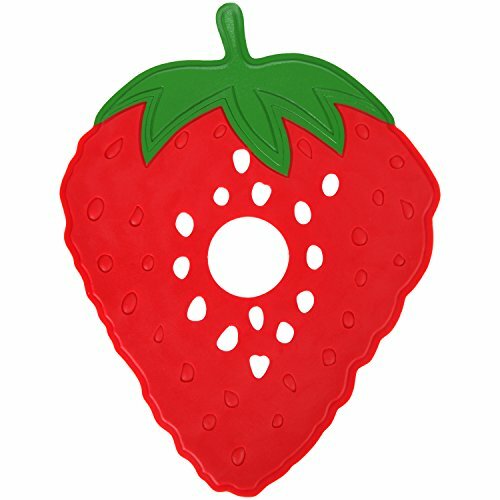 Liven and brighten up your sink with this adorable strawberry sink liner. It help promote the safety of your dishes and glass. Avoid breakage, chips, and nicks. It also helps keep your sink looking its best by protecting it from scratches as well. The holes make it easy for drainage and quick drying. Compare prices on Sink Drip Liner at ShoppinGent.com – use promo codes and coupons for best offers and deals. Start smart buying with ShoppinGent.com right now and choose your golden price on every purchase.